Traditional photography often turns on the moment when the photographer isolates himself behind the viewfinder or beneath the black cloth to click the shutter. 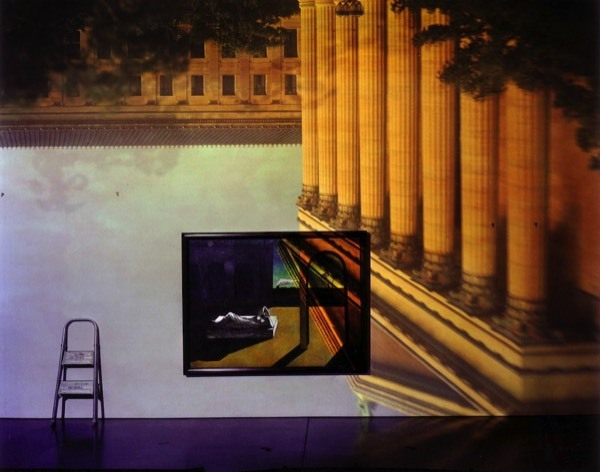 Morell inserts himself into his room-sized camera obscuras, which conflate elaborate outdoor reflections with interior settings, thus activating the space in which the magic happens. This is one of a series of long-exposure photographs made inside museum spaces, which become elaborate cultural puzzles for the eye and the mind.